Trusting a nanny with your child’s care in Dubai goes beyond a background check for parents in the UAE. An interesting observation came noticed recently, stating that finding a suitable and trusting live in nanny is just part of growing the mom and dad squad. On the good side, welcoming a nanny to your home adds one more person to your child’s life who will love and educate them and help them grow. On the other note, simply leaving a child in the hands of a babysitter while you head to the office or out for a dinner out can be somewhat scary, especially with a new sitter. While booking a babysitter you trust is not a simple step, rest assured there are thoughtful, loving, and credible babysitters out there. In any case, it is also a fact that there are tons of people like yourself who are battling with the same challenges, asking the same or similar questions and in need of the same assurance that everything will be all right with your loved one. You can even check some practical guidelines and ideas as well as share your feedback on popular services booking sites such as help4u.today, which cover the market and help people not only to book for services online, but to learn and improve the process as well. 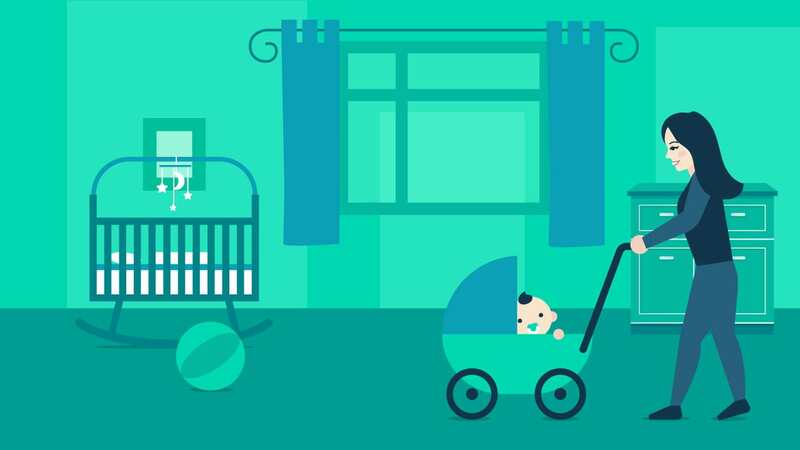 For many new parents, the decision of who should watch and take care of their loved one is worrying, emotional and puzzling. 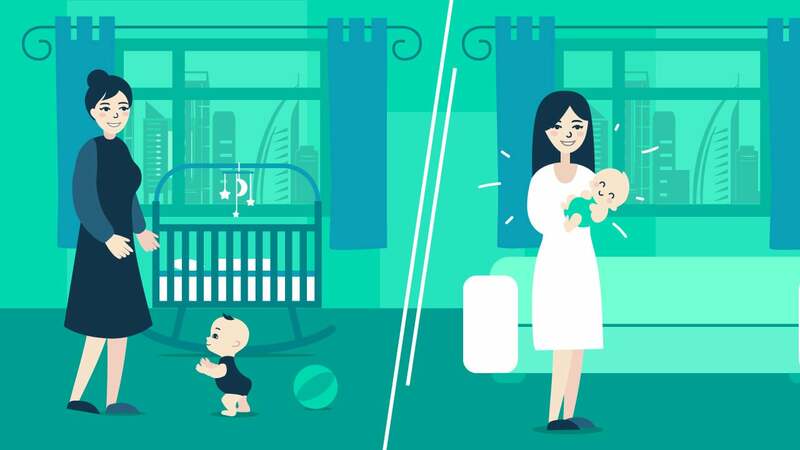 Many moms in the UAE, especially in the expat’s community are not emotionally ready to head back to the office but have limited or even find themselves without maternity leave plan. 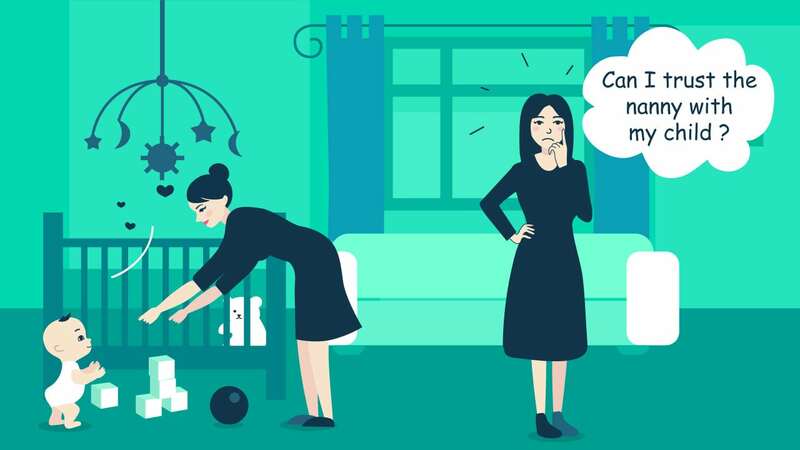 Without paid maternity leave, many families are left with few or no options to choose from. Thus, many choose to send him to a crèche or day-care centre, however, many also use the services of a nanny to tend for their child. Some look for this key employee by making use of a reputable agency, while others follow word of mouth recommendations or promote privately. In any case, trust is the main criterium for a successful relation and peace of mind among parents and babysitters in Dubai. It's known for a fact, one does not hand out their trust out blank immediately to anyone at the start of the relationship. And yet we all know that a nanny vs. parent relationship can't work out if we are suspicious all the time. So whenever possible, we should try to avoid imposing surveillance, and instead try to create an environment of trust, which will benefit the nanny, parents, and especially the child who will feel safe and loved. Experts advise, before you hire a person to enter into your home and look after your children, you should definitely conduct a background check. This is really important, so more focus can be put on the other phases of building the mutual relationship. Now, when you do find the appropriate nanny or babysitter for your family, make sure the person you hired to take care of your loved one’s day to day is in-line with your directions and your caregiving philosophy. While openly and honestly promoting trust relation with your nanny is important, that trust takes some time to build. Trust founded on character. It is all about integrity and intent. Trust founded on competency. Capabilities and results mark this one. Strengthening trust in your childcare provider is even more about consistent behaviour. It takes time to check both boxes of the previous trust equivalence. In order to make things simpler, there are general check-ups you can perform to discover whether the person who cares for the health and safety of your loved ones is well worth the effort and your patience. Drop-in unexpectedly Dropping by on your babysitter unannounced can give an awesome insight into what is happening in the lives of your loved ones and how the sitter is handling the situation. Pick a day towards the mid of the week, when you are typically in the office so it's more unexpected. The general picture of the home and the child’s activities can tell a lot. Listen to your children In case your children are old enough, listen to what they have to tell you. If they mention something which sounds a little bit odd or unusual to you, like an activity you don't understand or simply a person they met who you don't know, look into it. When kids have some remarks about specific things, discuss with the nanny about it and get the other side of the story explained as well. It may be a chance to change a behaviour before it turns into a problematic one. Parents should develop meaningful relationships with their sitters. Listening to your children and what they have to say is definitely one of the easiest ways to tackle with possible challenges. Rely on your neighbours Inform your closest neighbours know you recently hired a new nanny and ask them to keep an eye out for anything out of the ordinary while you're away. With extra pair of friendly eyes, you'll have that extra peace of mind that a trusted friend is looking out for your family and will inform you immediately in case of anything strange. Keep up with social media Social media sites can be an excellent way to see what's going on in your child carer’s life. If they're posting content on their Facebook, Twitter or Instagram pages and you are rather uneasy with it, have a friendly talk with them. You can also use sites like help4u.today to check the word of mouth, potential problems and guidelines on what is the best or most common approach to solving common or not that common misunderstandings with your nanny. Set up a camera Yet a time-consuming process, setting up a security camera and monitoring what happens in your home is the most tangible way to find out if anything tricky is happening with your nanny. The downside of this is that you run the risk of losing your great nanny if she finds out you installed one without informing her. Run a background check...again The background check that performed before you employed the nanny came back worry-free. However, periodic refresher ones should be done later on -- just in case. Trust Your Instincts Your parenting instincts are the most important strengths and super powers you possess. If something feels wrong to you, be sure to follow up on it. By listening to your instincts, you can ease up the process of discovering the reality and the true nature of the relation the babysitter has with your child and with yourself. In the meantime, it is simple - trust yourself. Trust your own gut instincts about how things are developing. Know that there are always other options out there in such a vibrant city as Dubai if plan A doesn’t prove to be a success. Take a deep breath and focus on building long-lasting relationships – thus you will give more energy in growing a beautiful, supportive environment for your little one. The baby isn't thrilled to be in the presence of the nanny and has become anxious and withdrawn. Perhaps your child and the babysitter haven't developed a bond, or the nanny just isn't offering the warmth and comfort your child needs. The nanny seems secretive about the day that has passed. When coming home, parents want to hear how the day has passed so if your caregiver isn't forthcoming, either there are issues with communication or she has something to hide. Your baby has been in too many easily avoidable accidents. The babysitter must keep her focus on your child and know what he's doing at all times to prevent injury. The child may be left unattended while sleeping or playing. You notice that your instructions aren't done. This is a team job, and you and your nanny are working together to care for your child, so she shouldn't behave as if she knows more about child raising and critical of what and how you do it. When opting-in for a childcare service for your family, sit down and make a list of what is most important to your family. Be honest with yourself about your preferences and think about things that may frustrate you or have a negative influence. Remember that no decision is permanent and whether it is permanent position or a part-time nanny, you can always change your situation based on your needs or your child's needs. Finally, consult other parents through the major services aggregator help4u.today and find out more from credible sources about how to cope with relationship challenges and how to find the best babysitting Dubai services for your child. Looking for a live-out nanny in Dubai? Search no more! 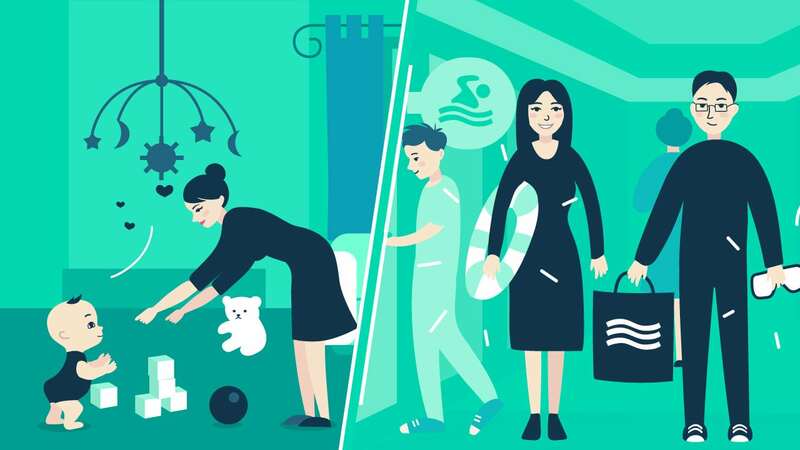 As the traditional nanny/parent relationship evolves — live out nanny services are becoming more common. Part of the perks of living in the UAE is the ability to offer nanny services for quite a reasonable income. Providing nanny services in Dubai for children who have special needs can be quite a fulfilling experience.